Hi, everyone!! 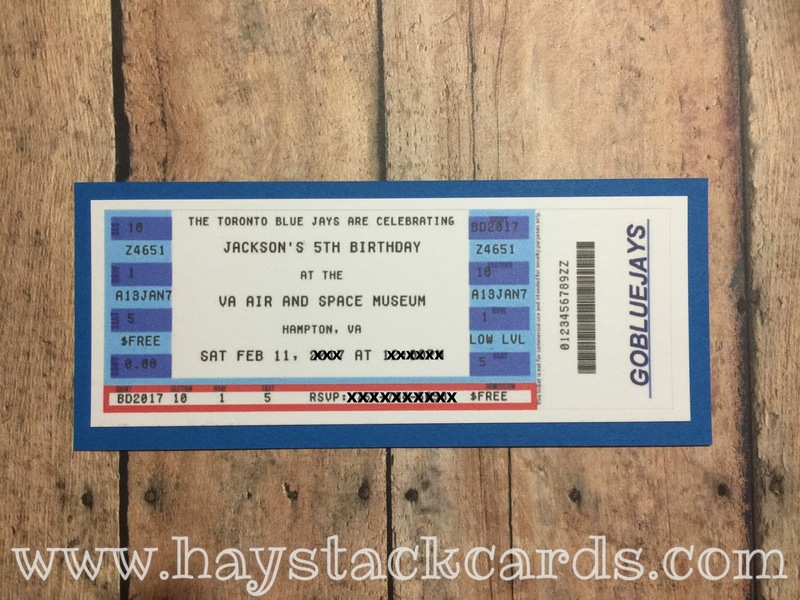 Today, I am sharing an adorable birthday invitation idea using customized game tickets and Cracker Jacks boxes. 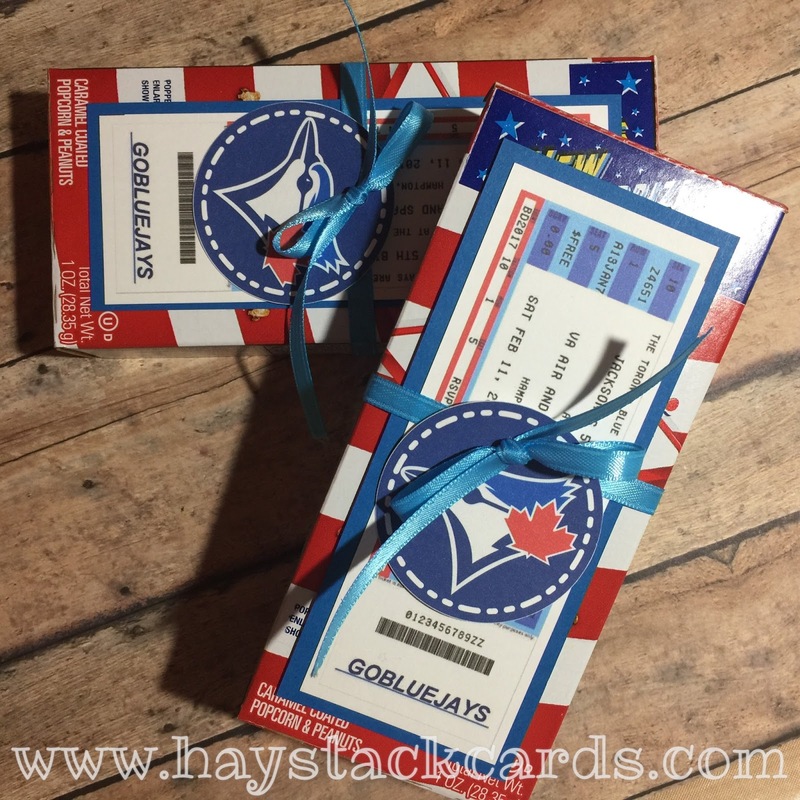 My son requested a Toronto Blue Jays themed birthday party this year. Thanks to Printable Treats, I was able to download lots of party planning free printables. I used the cupcake toppers as tags on these treat boxes. I used the Mama Elephant Cali Letters stamp set to personalize the kids names on the back of each tag. I also created the baseball tickets on Fake Ticket Generator using Style #2. 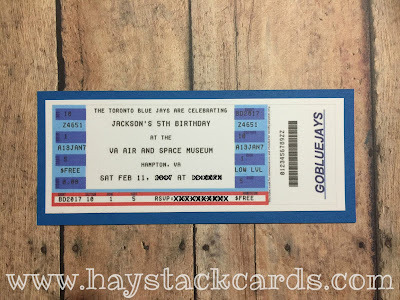 You can even select your own colors to coordinate with your party theme. These were so easy to put together and also very easy on the budget! Thanks for stopping by!! I bet these were a HUGE hit, Jen! Very creative - thanks for sharing them with us at the Simon Says Stamp Wednesday challenge!